Conduct TOGETHER! is an addictive game of explosive railway action that will challenge your inner conductor. 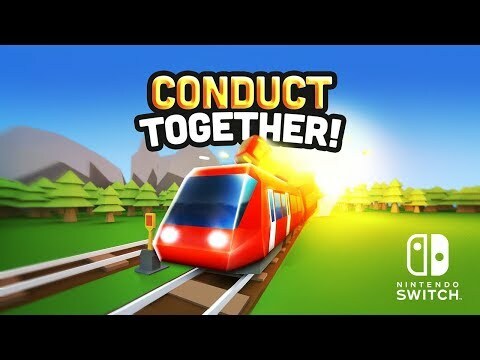 Conduct everything yourself or hand a Joy-Con controller to a friend for a hectic teamwork of commanding trains, switching tracks and avoiding collisions in increasingly challenging action-puzzles. Play with up to 4 friends for the ultimate party game! Set in a stunning world you race against time to bring passengers safely to their destination. As you progress through demanding levels your railroad network expands to the farthest regions of this mysterious and beautiful low poly world. Each region with its own style, music and distinct challenges. All aboard! Conduct TOGETHER! was released on Switch 135d ago in the US and the UK.